There is a serious over-crowding issue in my house right now. I’m getting a little nervous that my husband is going to report me to the producers of Hoarders at the A&E channel. Plants are everywhere! Literally every room in our house has plants- except the baby’s because I’m afraid that she will eat the potting soil. I tried to kick my Rosemary topiary out- I put it out on the steps when we had some warmer temps but forgot to bring it in overnight when the temps dipped. Not a smart move. 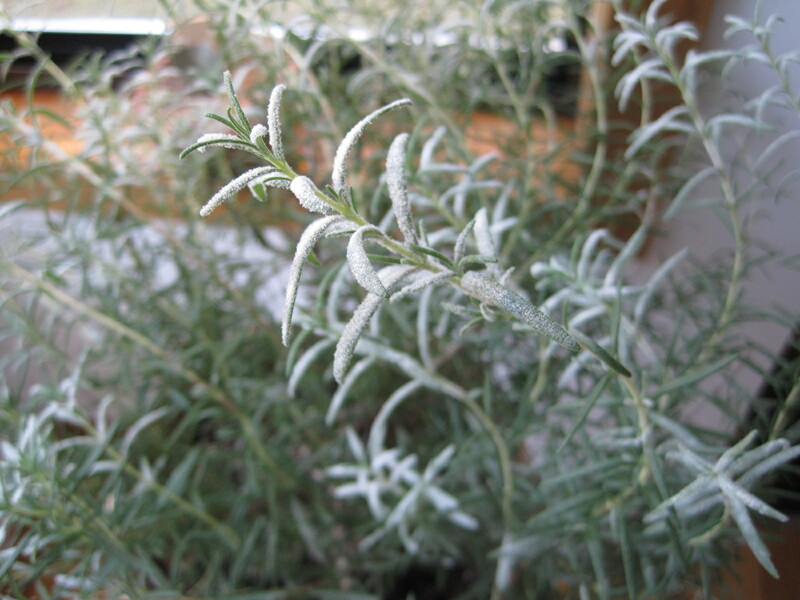 Almost half of the foliage died back from the cold. Fortunately, Rosemary is forgiving and tough, so I’m seeing a lot of new shoots. I want you to know that I make lots of mistakes with my plants. No gardening expert has perfected everything and I think it’s fair that I share my stumbles with you. 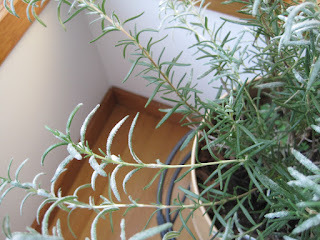 A friend of mine emailed me pics of her Rosemary plant, covered with white fuzz. “Help! she said. It looks like Powdery Mildew to me. 1. Make a 1:9 part Milk and Water solution. 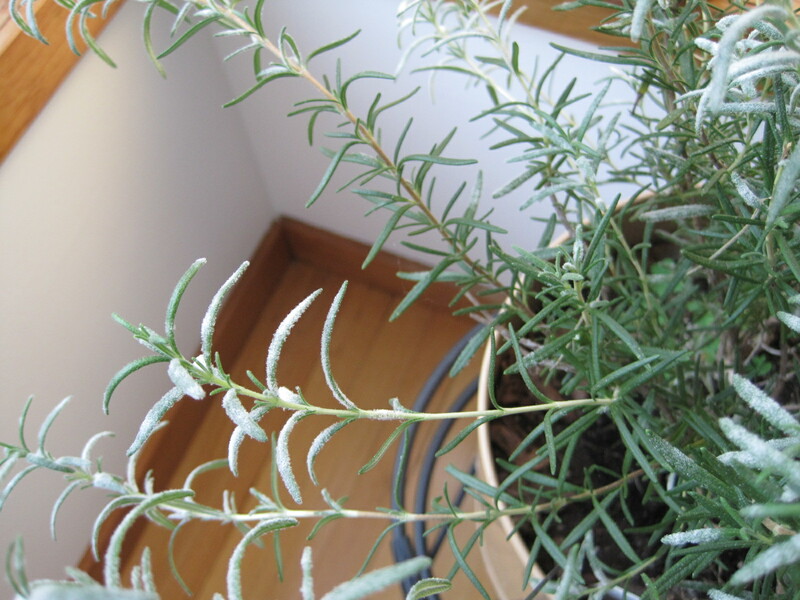 With a spray bottle, apply to the entire plant. The milk with help fight the disease and provide some nutrients to help the plant recoup. 2. Mix 1 Tablespoon Baking Soda with one gallon water. Spray on Powdery Mildew every 3-5 days. The Baking soda option is a better suggestion for house plants, unless you don’t mind a little sour milk smell. Personally, I would only use the milk solution outdoors. Keep an eye out for me on Hoarders…I might be looking to find new homes for my plants if I’m reported. Just kidding. It’s not THAT bad. I don’t think.